Every Tuesday in January and February, the temperature at 6 a.m. is the price you’ll pay for an Original Runza® Sandwich when you buy Medium fries and a drink. Additions and substitutions are extra. Runza is the one restaurant we always go to when my sister is visiting from out of town. She misses it when she leaves Omaha! 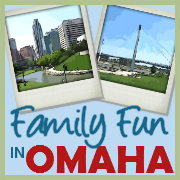 Temperatures and prices are updated each week and are posted by Runza on their Facebook page. 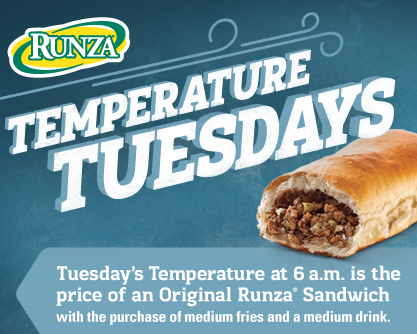 Enjoy the Runza Temperature Tuesdays this Winter!